We meet each Monday evening at 7:30 pm and have an outdoor activity once a month. 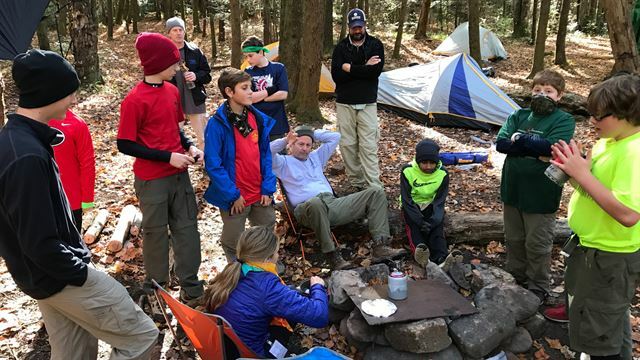 Boy Scouting, one of the traditional membership divisions of the BSA, is available to boys who have earned the Arrow of Light Award and are at least 10 years old or have completed the fifth grade and are at least 10, or who are 11, but not yet 18 years old. The program achieves the objectives of developing character, citizenship, and personal fitness. Boy Scouting is designed for boys ages 11 through 17, who are old enough to be on their own in the out-of-doors. While adults serve as key leaders, Boy Scouts hold leadership positions and plan the troop’s program. 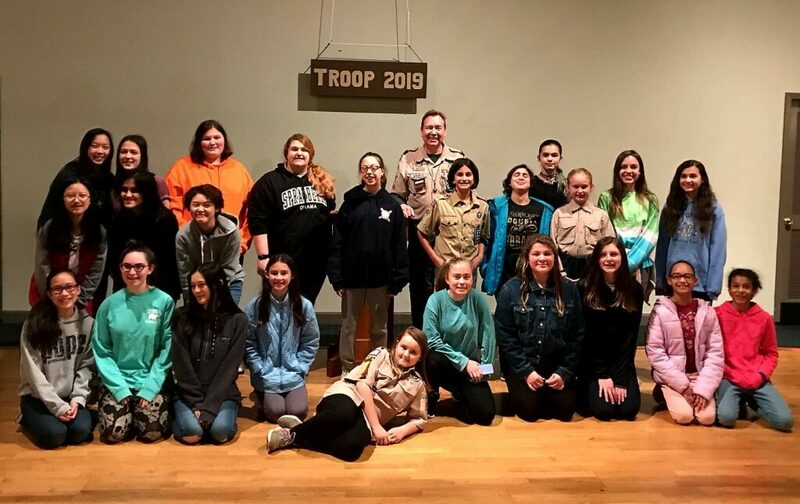 Contact Scoutmaster Kes Stadler at kes@kesstadler.com Troop 2019 is an all-female scout troop that launched on February 1, 2019 and already has over 40 registered scouts! We meet every Tuesday night from 7:15-8:45 PM. Girls between the ages of 11-18 are welcome to come visit us anytime. We are a stand-alone troop with our own leaders about 50/50 male and female. Do you want to have lots of adventures outdoors? Like to work on advancement? 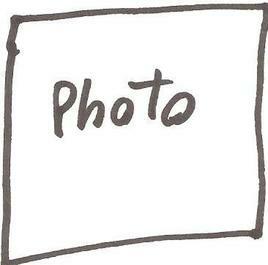 Want to meet new girls and have fun? Then you need to give us a try. We have monthly campouts, attend summer camp, learn leadership skills and did I say we have fun while doing it? Be a part of history and become one of the first females in Cobb County to work on and Earn the rank of Eagle Scout. 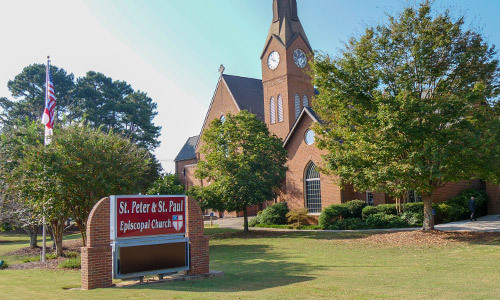 We meet monthly during the school year usually the last Monday of the month at at 6:30 pm. 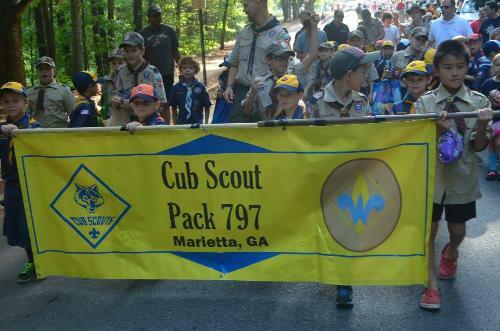 Cub Scouting takes place largely in the family units. Beginning with “scout light” Lion Cubs must be under the age of 7, and currently enrolled in kindergarten. Tiger Cubs are youngsters who have enrolled in 1st grade and under age of 8. Wolf and Bear Cub Scouts must have completed the first grade to enroll but not completed third grade, or be age 8 or 9. Webelo Scouts must have completed third grade but not completed fifth grade, or age 10 but not yet 11 and 1/2. Cub Scouting is fun! No matter what grade you are in, K through fifth, it can be a blast. Do you like to learn by doing? This is just the place. You can learn to tie knots, set up a tent, shoot a bow and arrow (archery). Have you ever cooked a meal on a campfire? Sent a secret code to a buddy? Built a birdhouse? Played Ultimate? Hiked? Earn rewards for doing these things in Cub Scouts with Pack 797. We meet each Monday evening at 7:30 pm and have an outdoor activity once a month. Venturing is a youth development program of the Boy Scouts of America for young men and women who are 13 and have completed the eighth grade, or age 14 through 20 years of age. Venturing’s purpose is to provide positive experiences to help young people mature and to prepare them to become responsible and caring adults. Venturing is based on a unique and dynamic relationship between youth, adult leaders, and organizations in their communities. Local community organizations establish a Venturing crew by matching their people and program resources to the interests of young people in the community. The result is a program of exciting and meaningful activities that helps youth pursue their special interests, grow, develop leadership skills, and become good citizens.